Marcus Miller, one of the most influential jazz musicians in the world, talks to Peter Bacon ahead of his Birmingham Town Hall concert. It’s not that Miller himself has had to endure great difficulties; he’s making this statement as a spokesperson for UNESCO’s Slave Route Project, and Afrodeezia has taken him all around the world, recording in Lafayette, Rio de Janeiro, Paris, Essaouira (Morocco), and Santa Monica, and collaborating with musicians from West Africa, South America, the Caribbean and all over the United States in the process. And if you want to hear joyful, exuberant, life-affirming, hopeful music, then Afrodeezia is the place to find it. Miller – best known as a master of the electric bass guitar but also an accomplished bass clarinettist, keyboard player, composer, arranger and producer – may now be an international star and band leader, but he started his career way outside the limelight. That “everything” included playing on sessions for Frank Sinatra and Elton John among countless others. Marcus Miller’s music has a very personal, identifiable sound but he has also been able to bring that sound to support other musicians in the arrangements he writes. So when you hear a Miles Davis album like Tutu, or Wayne Shorter’s High Life, or Luther Vandross’s Give Me The Reason, or David Sanborn’s Love Songs, you are also hearing a lot of Marcus Miller. Is that sometimes a frustration, I wondered – that listeners might namecheck Miles or Wayne or Luther more often, and overlook Marcus’s contribution to their music? “Since I ‘lived’ in the studio, so to speak, my world was very small. My community was the New York music scene during the Miles, Luther and Wayne days. All the musicians and producers in that scene knew what I was doing. So I was getting props from ‘my world’ and that was enough for me. Marcus once commented that an important thing Miles Davis did was to use the popular music of the day in his jazz, making songs as diverse as Bye Bye Blackbird and Human Nature his own. Did the bassist share that principle? “Yes, very much so. I think the relationship between jazz and pop is very important. Charlie Parker, Miles, Ahmad Jamal, John Coltrane, they all spent a lot of time playing ‘standards’, which are the collection of about 300 tunes that every jazz musician has to know. “These ‘standards’ are actually pop songs from the 1930s, ’40s and ’50s. They form the basis of jazz. “I feel like that tradition should continue using songs from those decades and songs from the ’60s, ’70s all the way up to today. Afrodeezia contains an instrumental version of the Temptations’ classic, Papa Was A Rolling Stone, so the point is made. I asked Marcus about the way labels are used to categorise music. Did he mind them? Was jazz “world music” in its widest sense? “Yes, jazz is definitely world music. Ex-slaves of African descent combined their musical sensibilities with other influences that they were exposed to in the U.S. in the early 1900s. They created a music with African, European, and Caribbean roots. And what about that role as a UNESCO Artist For Peace? “Afrodeezia is completely inspired by my role as spokesperson for the Slave Route Project. My job is to help raise awareness of the story of slavery. Now Marcus is playing this music on stage rather than in the studio. Which did he prefer, I wondered. 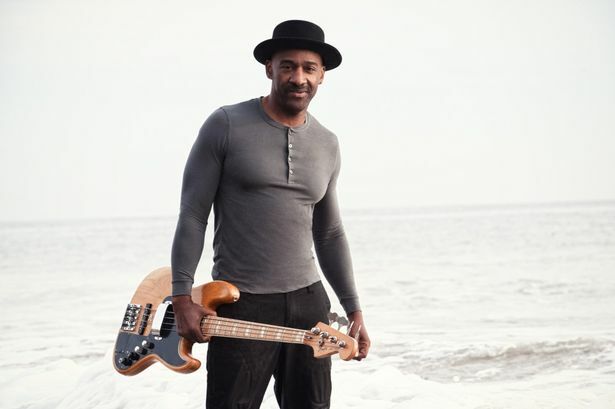 * Marcus Miller is playing Birmingham Town Hall on Wednesday, October 28, with support from the Birmingham-based Neon Villages. Go to www.thsh.co.uk for tickets.